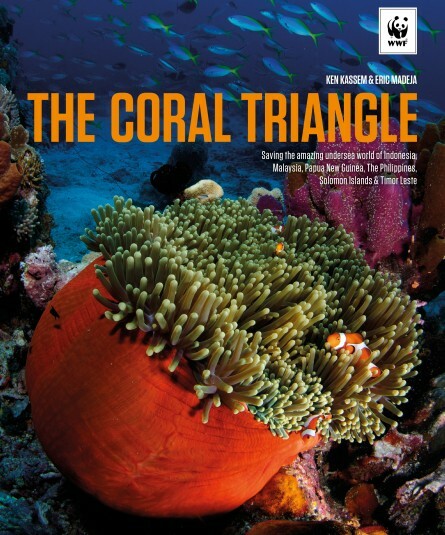 Published in association with WWF-Malaysia, this important book describes the uniqueness of the Coral Triangle region’s marine biodiversity, its conservation importance and the stories, successes and struggles of the drive to maintain its rich marine life. Ken Kassem gives a big-picture overview of threats and solutions and up-close and personal experiences from the people in the region affected by conservation. The stories come from the work that WWF-Malaysia and USAID Coral Triangle Support Partnership are carrying out in the region. Chapters cover the rich habitats of the Coral Triangle and the endangered species, as well as an in-depth survey of each of the countries of the area. As the earth’s single greatest repository of marine life, the Coral Triangle is also a great draw for scuba divers. Stunningly illustrated with Eric Madeja’s photographs, this book is a visual feast as well as an essential read. Ken Kassem is half American and half Egyptian and grew up around the Atlantic Ocean and the Red Sea. After learning to dive at age 14 he went on to study marine sciences and geography. He has spent 15 years working on tropical marine conservation issues around the world with international NGOs and is now pursuing a PhD at Kyoto University, Japan. Eric Madeja Eric was born and grew up in Switzerland, where he worked as a Swiss banker for some years. Feeling himself completely out of place, he decided to start a new life in Asia. After years of travelling and working throughout Southeast Asia, he finally settled in Sabah. In 2002 he co-founded Treasure Images Sdn Bhd. for which he takes most of the topside and underwater photography.